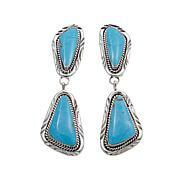 When you think of Native American artistry, what's the first thing that comes to mind? Horses. 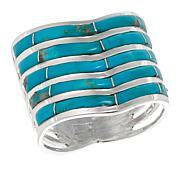 Handcrafted artistry reigns supreme with a Kingman turquoise and horse design cuff like this one. Show off your ponies — and a little pride — every time you don this bracelet. Having always loved horses and turquoise, this was a match I couldn't resist. I tried to order the larger size but it was sold out so I gave in and ordered the smaller size. IT FITS!!! So pleased with this purchase. It is beautiful. It is my 70th birthday gift to myself. Have worn it daily since I received it. Yeah! Gorgeous, artistic and high quality bracelet. 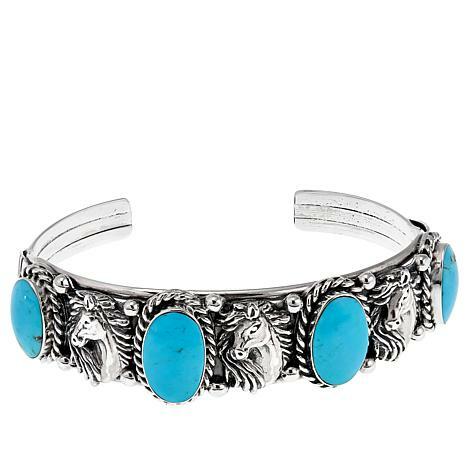 I have many Native American pieces I have purchased from art galleries/boutiques and antique stores in Scottsdale and the quality of this cuff is on par with those. I wish the area behind the horses was more oxidized to really showcase their beauty but I still LOVE it! I have a 6 3/4 wrist and usually wear a size 7 1/2 bracelet. I ordered the size M/L and it fits very nicely (with room). Comfortable. My first Chaco Canyon purchase and won't be my last. Thank you Chaco Canyon! Please bring more horse pieces! A nice weight, beautiful craftsmanship and fits rather nicely. I purchased the large so I can share with my husband...I could have worn the medium, but this adjusts nicely. I love this bracelet. 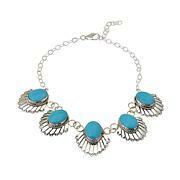 Turquoise is matched nicely. I do wish the horses had slightly more detail. Ordered the M/L and it did fit my 8inch wrist with no room to spare. Have worn it several days already and people definitely notice it. Thanks for the great purchase.